Do you need a gift for someone who has everything? Or perhaps a special person who needs your thoughtfulness? 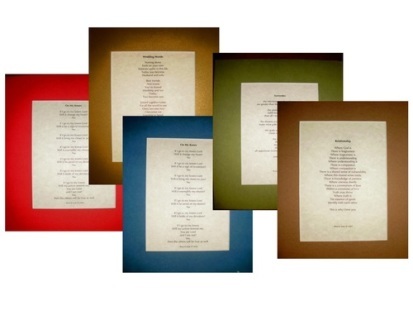 Our exclusive line of ready-to-frame mats showcases original poetry of Branch Isole. Now you can give a gift that will be seen and appreciated as much as you, the giver.